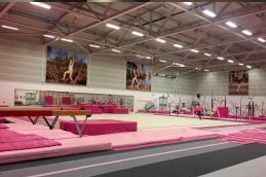 South Durham Gymnastics were very proud to have Ellie, Charlotte and Harriet qualify for the British NDP championships this month where the 3 girls travelled down to Stoke for the weekend to compete against gymnasts from all over the country on range, vault, bars, beam and floor. Ellie competed on the Saturday and did an amazing job in NDP 3, with just one small error on bars but otherwise showing beautiful and mature routines! Onwards and upwards now with the big skills to work on back in the gym. 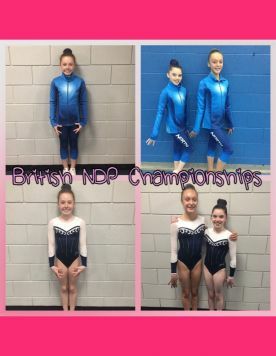 Charlotte and Harriet both competed on the Sunday in NDP 2 where they both showed of their stunning routines and did themselves and team pink proud.